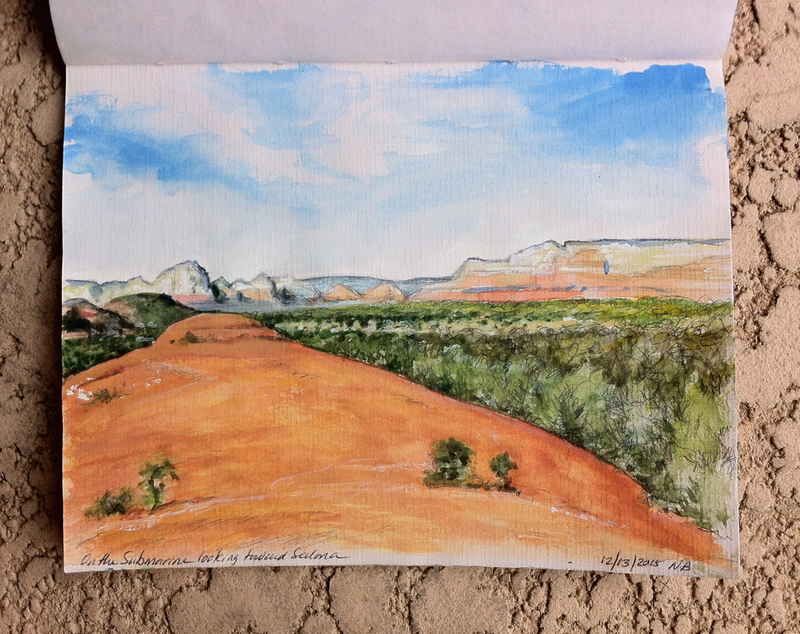 In this foreshortened view of Submarine Rock, looking toward west Sedona and Coffee Pot Rock, that pinky-orange color known as "Sedona Red" got lost. Tough to capture, camera and watercolors tend to go too far in either direction, between red and yellow. As for the foreshortening itself, to get a sense of scale, imagine the greenery on the rock to be the height of an average human. I'm enjoying your sketches. 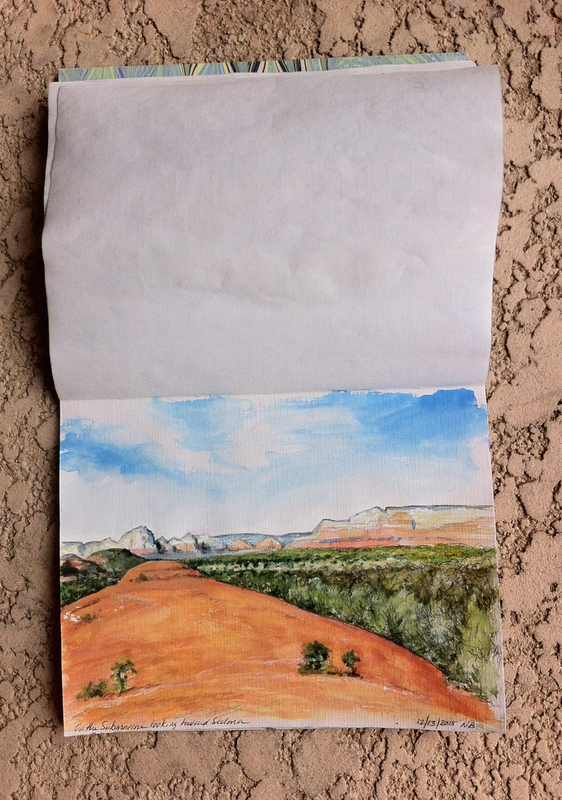 I can feel the Arizona sunshine radiating from the paper.